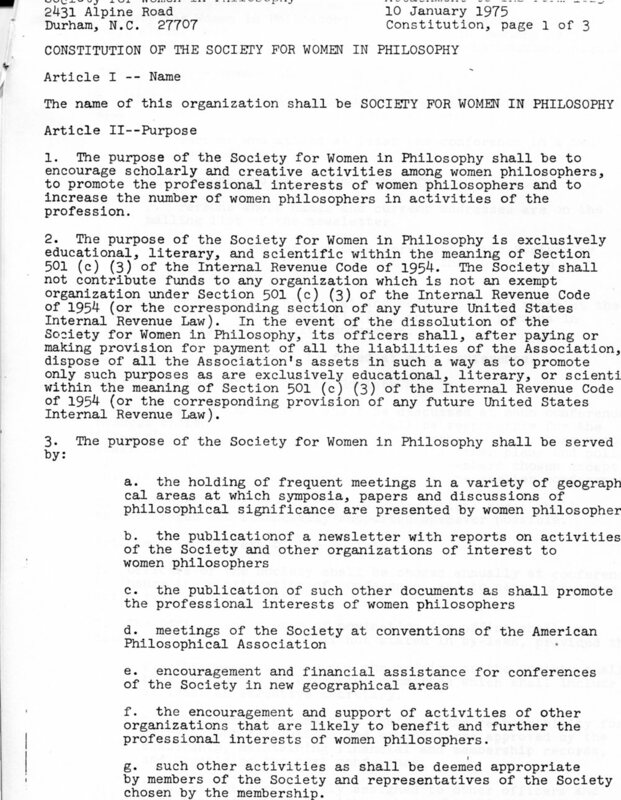 The Society for Women in Philosophy is a grass-roots organization of feminist philosophers. 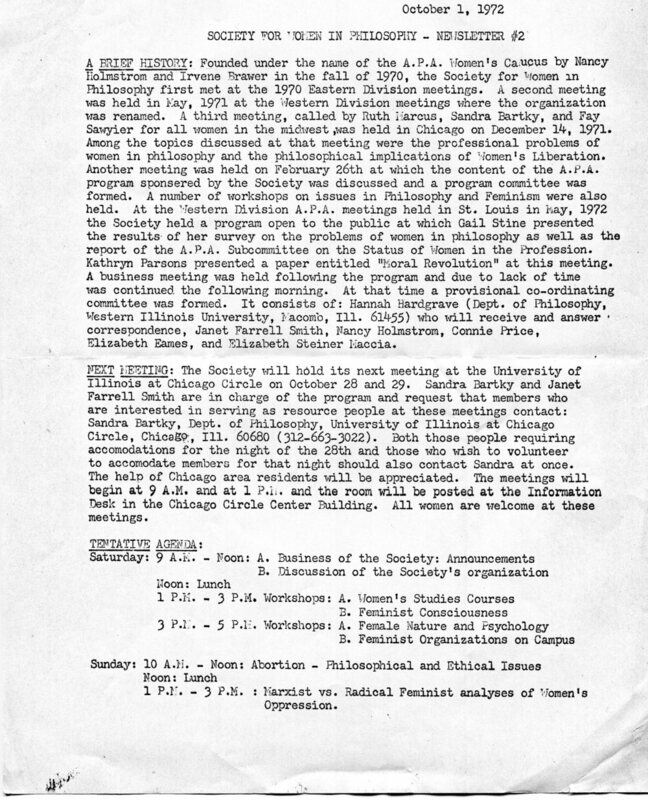 An initial meeting under the name APA Women’s Caucus took place at the December 1970 Eastern Division APA (American Philosophical Association) conference. 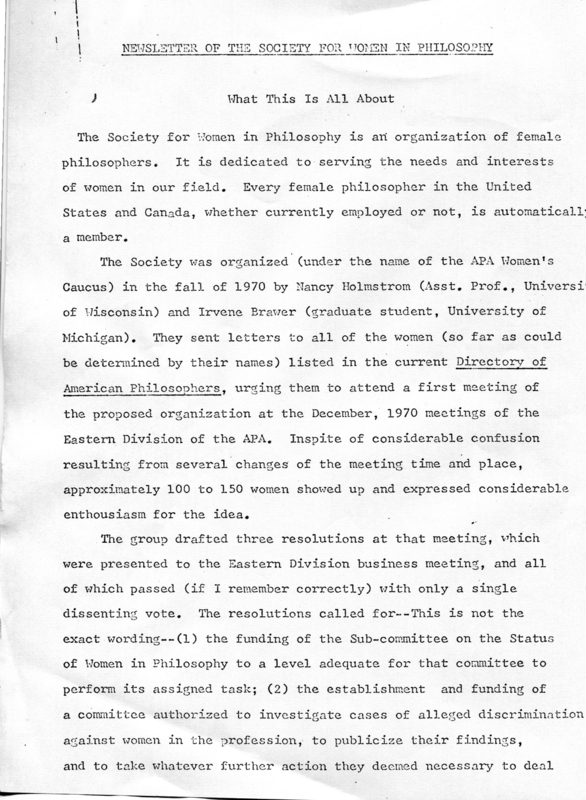 The following spring they took the name Society for Women in Philosophy at the Western Division APA conference. Their official history began in 1972. By the mid-1970s, regional SWIPs were organized throughout the U.S and in Canada. The UK, Germany, and the Netherlands are among its current international divisions. 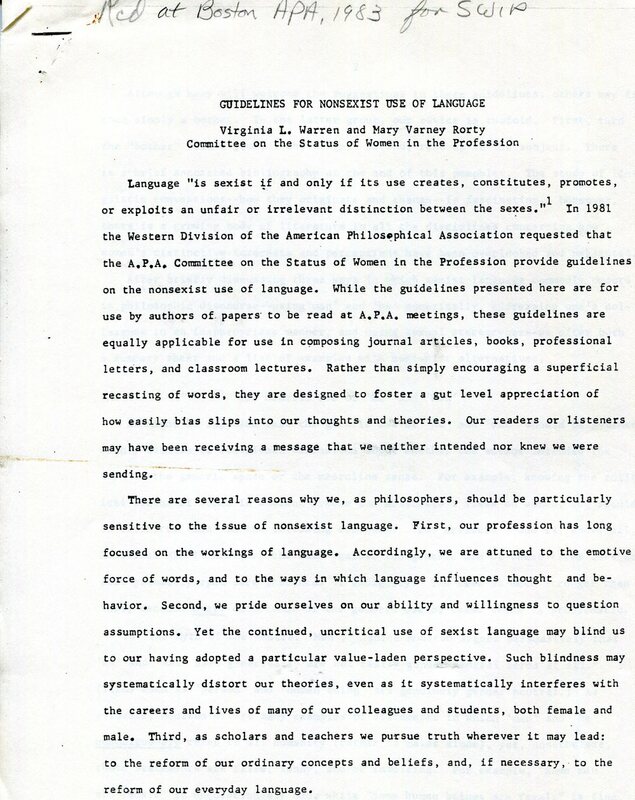 The journal Hypatia: A Journal of Feminist Philosophy was borne out of SWIP in 1982. SWIP was formed to help overcome sexist practices within the profession and to promote and support feminist philosophical scholarship. Each division conducts conferences and/or meetings with a set program of presented papers and workshops. SWIP and its accomplished members have been integral to introducing and sustaining feminist dialogues and approaches to philosophy in the US and beyond. Click on any document for a closer look and additional information.